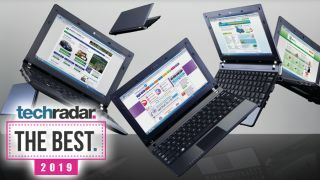 In this guide to the best laptops 2019 has to offer, we here at TechRadar have gathered up a smorgasbord of fantastic laptops that will appeal to a broad range of people, no matter what sort of laptop you’re looking for. So, we found the best Ultrabooks and premium laptops, alongside the best Macs, Chromebooks and budget Windows tablets. On this page, you’ll also find the best gaming laptops and 2-in-1 laptops. We made sure to fill this list of the best laptops with amazing pieces of kit at every price point, so you can find the perfect laptop, no matter your budget. Remember: you don’t need to spend a fortune to get one of the best laptops on the market. Every single laptop on this list has been tested right here at TechRadar, so you can be confident that you’re getting your money and time’s worth. Only the best of the best laptops will be on this list, so you don’t need to worry about getting a lemon. Plus, we included our exclusive price comparison tool so you can be sure you’re getting the best laptop deal. And, we’ll keep this list updated with all the latest and greatest laptops as we review them. So, you’ll find the newest laptops here – as long as they’re worthy of inclusion. Huawei has done it again, and its latest laptop has topped our best laptops list for 2019. As with last year's Huawei MateBook X Pro, the MateBook 13 comes with some of the latest components, including a discrete Nvidia MX150 graphics card, and a gorgeous lightweight design, that you'd expect to find on a much more expensive laptop. The fact that the MateBook 13 offer so much, yet comes with an impressively low price – compared to its Ultrabook competitors, like the XPS 13 below – makes it our choice for the best laptop money can buy right now. Sure, you may be missing a few minor niceties here and there to achieve such a competitive price, but on the whole, this is the most value-packed flagship laptop that we’ve ever tested. If you're after a few more bells and whistles, like super-fast Thunderbolt 3 ports and a 4K display, then the Dell XPS 13 or MacBook Pro (also on this list of best laptops) may be better choices, but for sheer bang for your bucks, the MateBook 13 is the laptop to beat in 2019. The Dell XPS 13 has been a regular of our best laptops list for years, and the 2019 model is no exception. It retains everything we've come to love from Dell's flagship 13-incher, from the gorgeous and light design, to the powerful modern components that power it. The Dell XPS 13 rocks an 8th-generation Intel Core i5 or i7 processor and a bezel-less ‘Infinity Edge’ display, this Dell XPS 13 continues to be the most popular Windows laptop in the world. What’s more, there’s a wide range of customization options, so you can really make the Dell XPS 13 the best laptop for your needs. The 2019 model doesn't bring a huge amount of improvements, but then not that much about the Dell XPS 13 needs improving. Its webcam has been placed at the top center of the screen, rather than at the bottom, which a lot of customers have been asking for. You also get a longer battery life in this year's model. The HP Spectre line of Ultrabooks and 2-in-1 laptops has always consisted of extraordinarily attractive devices. So, when we say that the 2019 Spectre x360 takes things to another level, that should mean something. This is one of the most beautiful laptops on the market right now, with its gem cut design and sleek profile. Couple that with the powerful Intel Whiskey Lake processors and long battery life, and you get one of the best laptops on the market right now. Its ability to flip into a Windows tablet is just icing on the cake. If you're after the latest and greatest laptop from Apple, we suggest you look into the 2018 model of the 13-inch MacBook Pro with Touch Bar. While Microsoft had the performance edge over last year's MacBook Pro, with the Surface Book 2, Apple has come out swinging with some seriously beefed up specs for the 13-inch MacBook Pro 2018, and even more so if you go for the larger 15-inch model. The headline Touch Bar – a thin OLED display at the top of the keyboard which can be used for any number of things, whether that be auto-suggesting words as you type or offering Touch ID so you can log in with just your fingerprint – is again included. It's certainly retained Apple's sense of style, but it comes at a cost. This is a pricey machine, so you may want to consider one of the Windows alternatives. If you're open to switching to a PC, definitely consider the XPS 13 or the excellent MateBook X Pro. But, if you're a steadfast Apple diehard, this is definitely the best laptop for you! The Asus ROG Zephyrus S GX701 is the best gaming laptop of 2019 thanks to its powerful components that include a 6-core Intel processor, and the latest RTX 2080 graphics from Nvidia. Not only is this a brilliant performer, but it's also impressively thin and light as well (by gaming laptop standards). Asus' Zephyrus laptops have constantly pushed the boundaries of what gaming laptops can do, and this new model for 2019 is no difference, which is why it has made it straight onto our best laptops list. It's available to pre-order now, but be warned: this is a very expensive laptop. If you're looking for something a bit more affordable, check out the Acer Predator Helios 300 later on in this list. Microsoft's second attempt at a pure laptop device is an absolute winner in our view, and while it doesn't represent a huge overhaul of the original Surface Laptop, it offers improvements in all the areas we were hoping for, including updated hardware that brings serious performance benefits. This is a laptop that finally delivers on what Microsoft set out to do with the original: a pure, powerful Windows 10 laptop experience. If you're not sold on the 2-in-1 nature of the Surface Book 2 (which is also on this best laptops list), but love Microsoft's premium build quality and design, then the Surface Laptop 2 is the laptop for you. A very worth addition to this list. When it comes to the best Chromebook laptop, you have a choice between two stark alternatives. There's the premium Chromebook Pixel, which we list further down this page, and then there's the excellent Asus Chromebook Flip C302, which combines premium features in a much more affordable package. For many people, Chromebooks are excellent and affordable laptops that are perfect for students, and the Asus Chromebook Flip C302 is easily one of the best Chromebooks, and one of the best laptops, money can buy. It comes with an Intel Core processor, full 1080p display, touchscreen, backlit keyboard and USB-C port. When HP unveiled the HP Spectre Folio, it made some big claims about how the 2-in-1 laptop would reinvent the PC. While it doesn't quite match the hype, what we do have is one of the most beautifully-designed laptops we've ever tried. Billed as "modern vintage meets technology", the HP Spectre Folio is built directly into a piece of genuine leather. That's not a fancy cover, it's a part of the laptop. It's not just looks that has put it on this list of the best laptops of 2019, the HP Spectre Folio is also a brilliant performer as well, with modern components powering the device. It is very expensive, though, so if you're on a budget, check out the more affordable 2-in-1 Acer Switch 3 below. But, if you want the best laptop for making a statement as soon as you pull it out of the bag, then the HP Spectre Folio is the one to get. If you want the Microsoft Surface Book 2 but you want to spend a lot less, the Acer Switch 3 2017 is definitely the your best option. It's designed around essentially the same concept as the Surface Book 2 and it's a less capable thanks to slightly lower power innards, but for most tasks it's a brilliant little machine. What's more, to add further value this 2-in-1 laptop/tablet comes with the keyboard upgrade which means no little extras to pay for. As usual it comes in several different versions, with USB Type-C, 8GB RAM, an IPS display and Intel Core i3 7100U CPU coming with the more expensive option. The best Chromebooks have experienced huge success in recent years as a result of their accessibility, and the Google Pixelbook is no exception. Even though it costs twice as much as the average Chrome OS device and doesn’t come with a stylus as you may expect, the Pixelbook is built to withstand the future. It features a pair of Thunderbolt 3 ports for accessories and super fast file transfers, a hinge that flips inside out for watching movies on planes and a taste of Android. You get full access to the Google Play store on the Pixelbook, from playing Sonic the Hedgehog to watching videos in VLC. The icing on this pixelated cake is its long battery life – it lasted nearly 8 hours in our own testing, so you shouldn’t need to worry about the Pixelbook dying on you. We've also had a glance of the upcoming 2018 edition of the Swift 7 at CES 2018, which comes with boosted graphics and processing specs. It could be a shoe-in for a place on this list when it launches later this year. While it may not have the best keyboard in the world, the Samsung Notebook 9 was one of the best laptops you could buy in 2018. and that stands in 2019. Packed with more horsepower than the MacBook Pro, but at a much lower price, Samsung has crafted a laptop that has just as much substance as it does style. Plus, on top of its killer specs, it’s lightweight and thin, making this one of the most portable 15-inch laptops you can buy today.